Sometimes, Guest asked to me " how many percent guarantee to see the whale shark "
I can say to them " you can see 100%, if good weather and good condition of sea and good condition of whale shark ! :-)"
Whale shark is definitely nature, The wide and deep ocean is his playground and home. 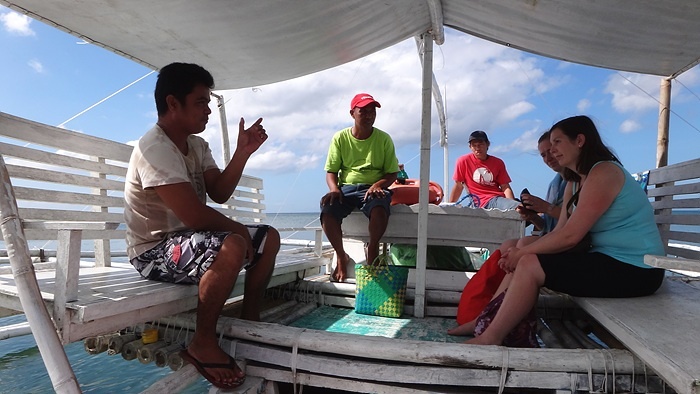 I would like to advise to guest, please make longer plan of your travel in Donsol if you want to see whale shark higher percent.